ParkPixel is a professional domain names parking script, it catch all your domain names and display them in elegant design view! You have for example domain1.com, domain2.com and domain3.com, you just need to park them to one website, so when any one visit any domain of that domains ParkPixel will display the page with target visiting domain information. 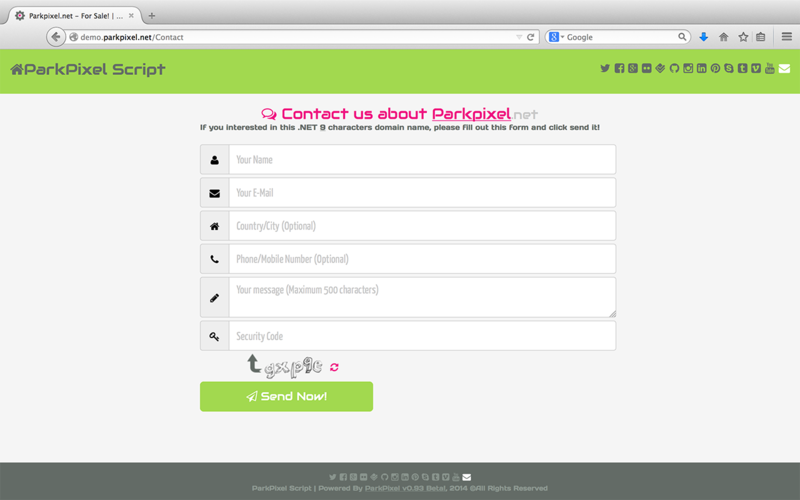 ParkPixel is very easy to use, no database or spacial requirements, download it, edit one file, upload it to your website & done. With the Web 2.0 style and template system, you can change the colors, edit the current design or you can add new one, just in few minutes you have your very unique style. 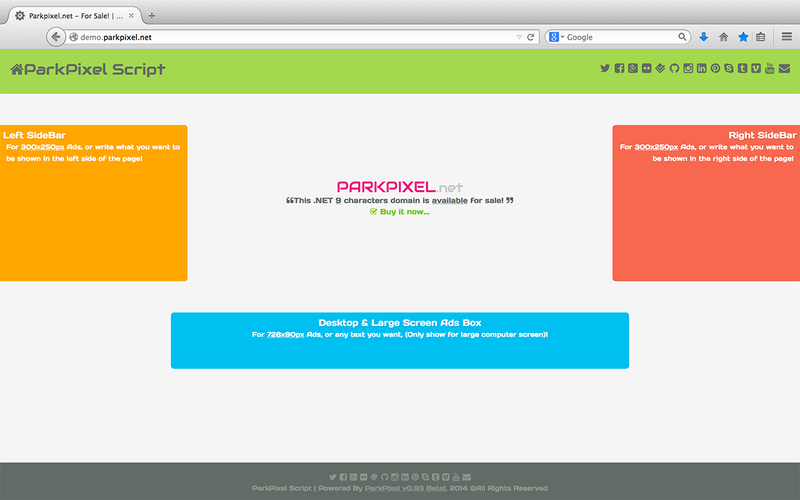 We have tested ParkPixel in all major browsers like Firefox, Chrome, Internet Explorer, Safari, and Opera. Yes ParkPixel is low price scripts! but it’s high value product & it worth what you buy for! Global internet needs global script support multi-Language, English, Arabic (RTL Support), Chinese, German, Spanish, French, Italian, Portuguese, Russian or you can easy translate it to yours from one file. Hard coding scripts, designed & tested to work with all website’s owners, No need for spacial programing or designing scales. After purchasing your copy, you’ll receive confirmation email, and you can download the script files directly. Our clients area have what you need, download and update section, upgrade options, billing system, invoice history, support ticket system and affiliates program. ParkPixel is a seo-friendly script that allows to achieve top ranks in SERPs easily, SEO friendly URLs, Custom meta for pages, Clean & fast HTML layout structure, Custom page titles. ParkPixel is low-cost investment, publish your site, sell your unused domain names, put your ad codes, receive easy money. We are so confident in our product, that we back it with a 30 day money back guarantee – try ParkPixel risk free. We know it should be elegant & concise! So we keep it simple layout & powerful by Web 2.0, Gorgeous design, Vivid colors, Zero images & Easy to edit. Fully optimized for all possible layout options and all mobile, tablet devices screen resolutions! Header: Domain Name or your own title & small social media icons linked to your social accounts. Left/Right Ads Boxes: To display Ads or any other contents. Middle Box: Auto display the target domain name + it’s characters counts with link to buy it page. Bottom Ads Box: 728 pixel width by 90 pixel height box perfect for wide Ads. Footer: Display your social media accounts & your copy right notice. Secured by nice looking CAPTCHA to keep any spammer away from your email! Web 2.0 flat looking & icons design. Required fields: Name, E-Mail, Message Contents & CAPTCHA field. Error Notice: when any required fields or not correct e-mail added. The form send you message included the domain name. Not sure, or you have to ask more? Please contact us, we’ll be happy to answer.